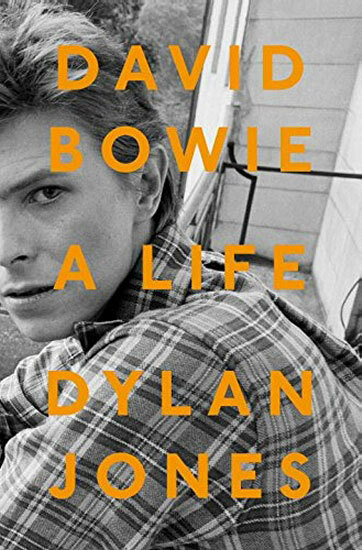 DYLAN JONES is working on a brand new book which will be titled: DAVID BOWIE: A LIFE . To be published in hardcover, with 400+ pages, and a Kindle version, it is scheduled for publication on 7th September by Crown Archetype. Synopsis: Dylan Jones, OBE, is the Editor of British GQ. He studied design and photography at Chelsea School of Art and St. Martins School of Art in London before becoming the Editor of i-D magazine in 1984. He has since been an Editor at The Face, Arena, The Observer and The Sunday Times. Dylan has won the BSME Editor Of The Year award seven times, once for his work on Arena (1993), and six times for GQ (2001, 2002, 2004, 2008, and two awards in 2007). Dylan has published several international best-selling biographies and books, which include his When Ziggy Played Guitar in 2012. 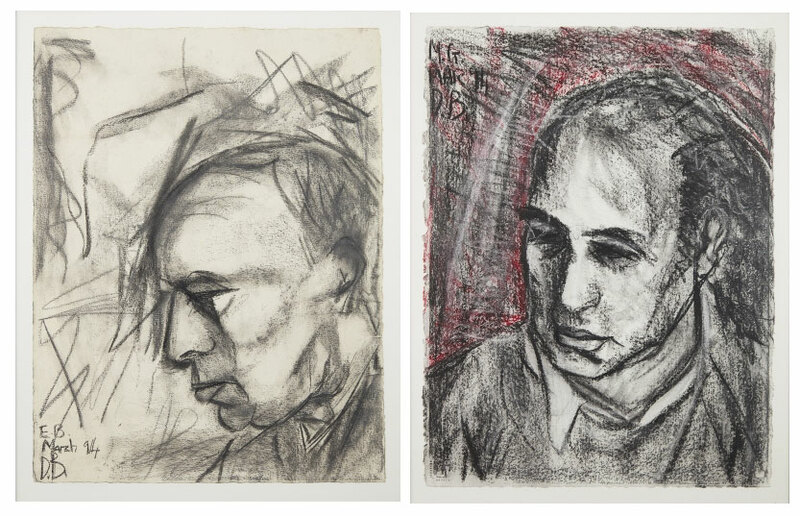 There are six DAVID BOWIE lots in the upcoming LYON & TURNBULL 'Contemporary & Post-War Art' auction in Edinburgh, which takes place on Wednesday 15th March at 11am. Signed and dated '98 in pencil to margin, number 113 of a limited edition of 175, photolithograph. 34cm x 25cm (13.5in x 9.75in) including margin. 43cm x 28cm (17in x 11in) including margin. Signed and dated '98 in pencil, photolithograph. 26cm x 21cm (10.25in x 8.25in). 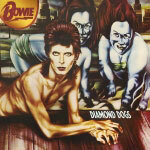 Note: The original that this lithograph is after was used for the cover of Bowie's album '1.Outside'. LOT 210 - HEAD OF E.B. Inscribed 'E.B., March '94, D.B. ', charcoal and chalk on rag paper. 66cm x 50cm (26in x 19.75in). LOT 211 - HEAD OF M.G. Inscribed 'M.B., March '94, D.B. ', charcoal on rag paper. 76cm x 56cm (30in x 22in). Genesis Publications (2002), No. 297 of a Deluxe limited edition of 350. 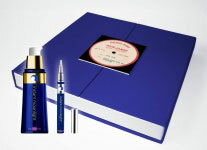 Signed by David Bowie and Mick Rock, bound in full blue leather, with embossed gold Ziggy lightning bolt. Original Solander box. Includes a deluxe print signed by Mick Rock. 38cm x 25cm x 5cm (15in x 10in x 2in) (boxed). The 'D Head V', 'Star' and 'Self Portrait' prints were originally available for purchasing exclusively via BowieArt.com. 'Head of E.B.' and 'Head of M.G.' were both first shown and available to purchase at David's first solo exhibition - 'David Bowie: New Afro/Pagan And Work 1975-1995' held at The Gallery, 28 Cork Street, London in April 1995. For more details, information and bidding, please visit the lyonandturnbull.com website. NO PLAN EP CD RELEASED TODAY! 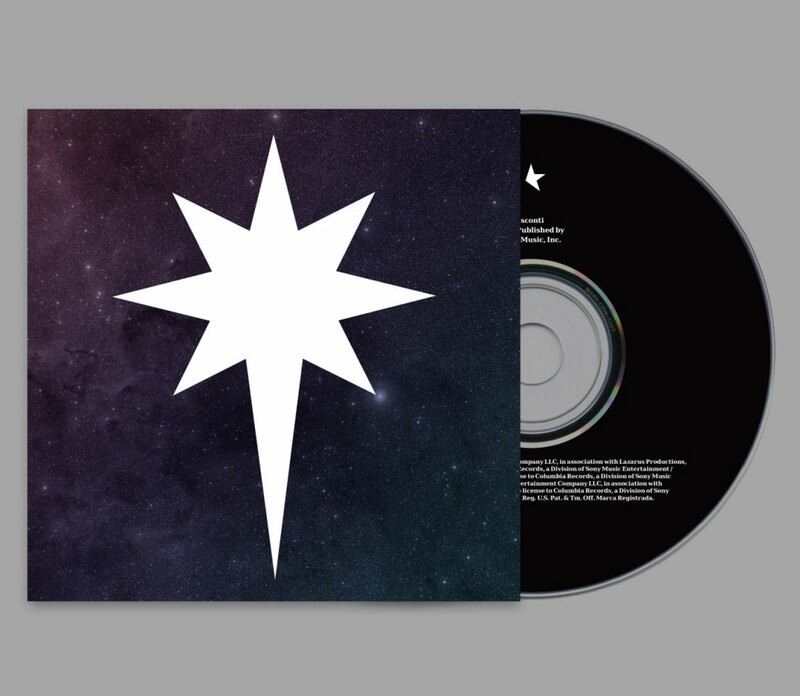 Released today is the CD version of DAVID BOWIE's 'No Plan' EP. 3. Killing A Little Time. 4. When I Met You. The No Plan EP artwork has been designed by Jonathan Barnbrook. The standard 12" black vinyl is available now to pre-order. There is also a Japanese No Plan CD Blu-spec CD2 (Cat. No. SICP-31052) to be released next month on 22nd March. Update: DAVID BOWIE WINS the 'British Male Solo Artist' 2017 BRIT Award! The award was announced by DJ Zane Lowe and was accepted on David's by Lazarus lead actor Michael C. Hall. Update #2 DAVID BOWIE WINS the 2017 BRIT 'British Album of the Year' award with his album ★ the award was announced by NOEL GALLAGHER and accepted by David's son DUNCAN JONES who gave a beautiful and touching speech. The 2017 BRIT AWARDS take place tonight, DAVID BOWIE is nominated in two categories - 'British Male Solo Artist' and Mastercard 'British Album of the Year'. DAVID BOWIE - ★- WINNER! The show takes place at The O2 in London and is broadcast live on ITV at 7.30pm until 10.00pm. Hosted by Dermot O'Leary and Emma Willis. For viewers outside of UK you can watch it all via live streaming on their YouTube channel. 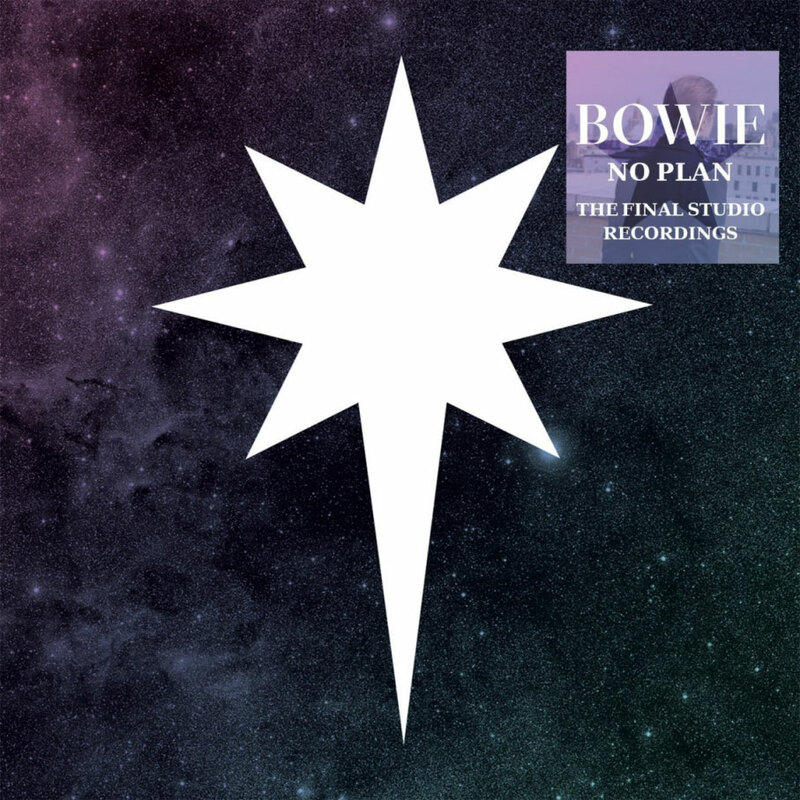 Reminder: Released this Friday on 24th February is the CD version of DAVID BOWIE's 'No Plan' EP. DAVID BOWIE's ★ album has been certified gold in the U.S.A. by the RIAA (Recording Industry Association of America) for sales in excess of 500,000 units. As you know, David Bowie has been nominated in two 2017 BRIT Award categories - 'British Male Solo Artist' and Mastercard 'British Album of the Year'. The show takes place tomorrow evening (22nd February) at The O2 in London and is broadcast live on ITV at 7.30pm until 10.00pm. Hosted by Dermot O'Leary and Emma Willis. 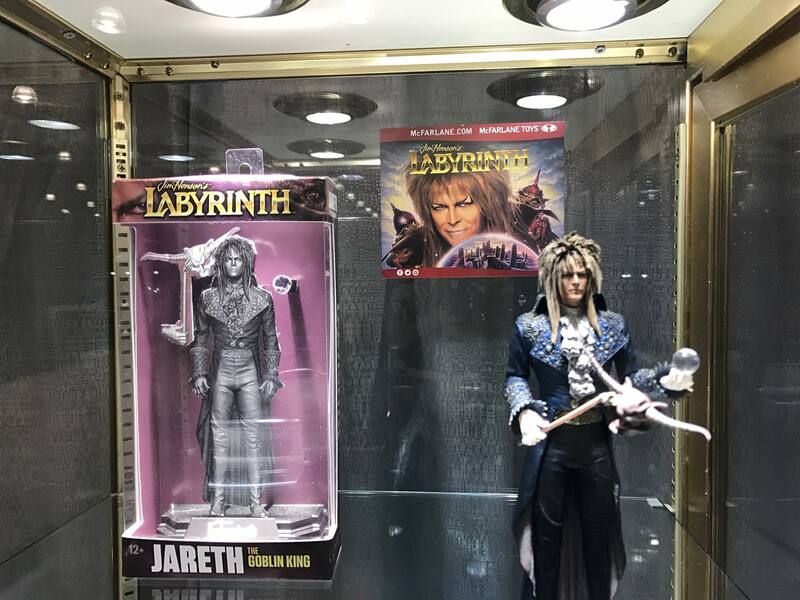 At the International New York Toy Fair today, McFARLANE TOYS revealed a brand new Labyrinth Jareth DAVID BOWIE figure that will be available in Fall 2017. 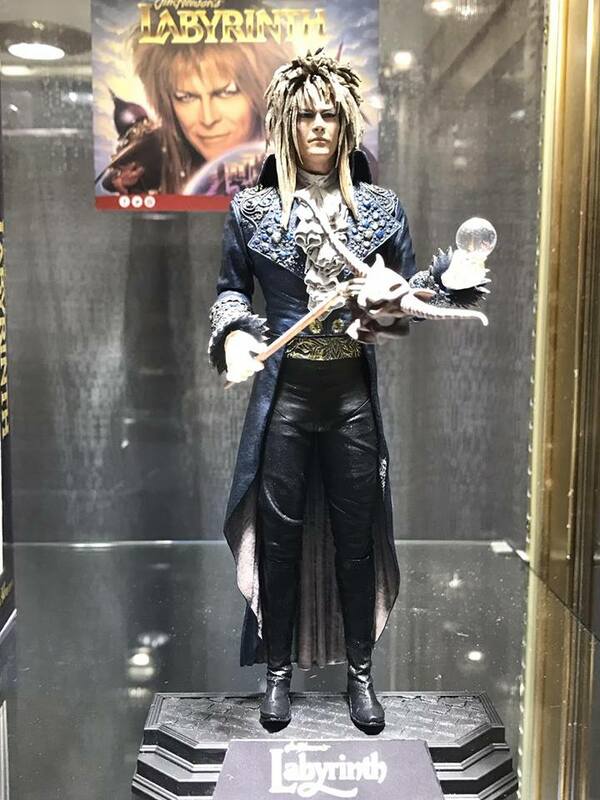 No more details are available at this precise moment, but keep checking mcfarlane.com website - if you are interested it might be a good idea to sign up for their newsletter. The original 1994 much-in-demand Bowie collectors biblical discography has now finally got a complete makeover with this one-off special limited deluxe edition due in April. Fifteen copies are already pre-reserved, and so far 39 copies out of 85 are claimed. DR. JURIJ PARASZCZAK (BSc Chemistry 1973, PhD Chemistry 1977). "One [performer I remember] was the as yet relatively unknown David Bowie. He came into the Lower Refectory, long before the concert, to test out the sound system. As the evening folded over the refectory and darkness came through from the tall glass wall, someone from our lights' team targeted a spotlight on him and from the moment that he sat down on one of those laminated chairs in the middle of the stage all the hubbub of people going to take showers, passing through the refectory to the Union building, ceased. 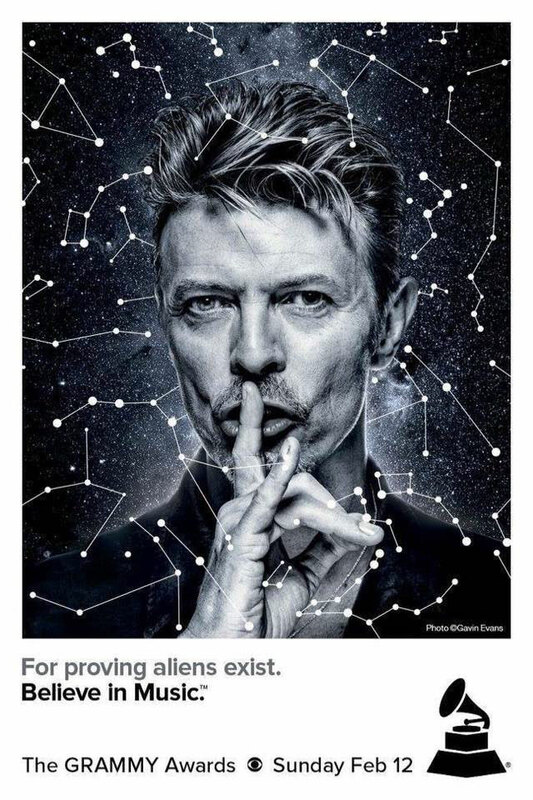 David Bowie commanded attention and it was obvious that he was unique and important to listen to. He came to the University on 18 February 1972." BARRY EVERARD (owner of Record Collector in Broomhill). "I was on the entertainment committee and very excited that he'd been booked. He was not scheduled to go on until about 1.30am. I was quite shocked to get into the room to find a guy manning the bar, and standing next to it four rather drunken lecturers chatting up four slightly inebriated girl students. I found myself the only member of the audience paying him any attention. It was amazing that somebody who would later be so central, and vital, in music, I had a virtual one-to-one with. When every David Bowie album came out, it was an event." GLENN GREGORY (Heaven 17 and Woody Woodmansey's Holy Holy). "I was about 12 when I first started listening to Bowie along with Bolan (Tyrannosaurus Rex) as well as bands like The Sweet and even Slade, I was a budding Glam Rocker, but Bowie's music always seemed to me to be something extra terrestrial. Words and meanings and hidden in poetic strangeness allowing personal interpretation and perfect for an impressionable eager music listener like me. "I met Martin Ware and Ian Craig Marsh when I was about 14 and we had identical musical tastes. Bowie being one of the artists we were all most interested in. We found out that he was playing live at Sheffield University but that we were unable to get to see the gig, as you had to be a member of the Student Union to get in! "However this did not deter us. With the aid of, can you believe it, a John Bull children's printing set and a trip to Boots in town to use the photo booth we set about making fake Student Union ID's. Actually, they were quite good and not only did they get us into the Bowie gig, we carried on using them for quite some time and saw some other amazing bands there. But I can honestly say none touched me as much as seeing David Bowie on stage that first time. It was a life changing experience. It made me want to part of the music industry, buy a pair of sky blue dungarees and dye my hair blue, it made me want to be David Bowie. Now all this time later I have the chance to live a boyhood dream." 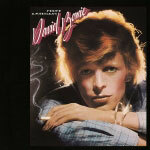 DAVID BOWIE's Sound And Vision single enters the UK Official Vinyl Singles Chart Top 40 at NUMBER ONE! 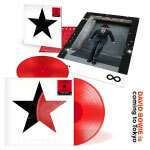 In the UK Official Vinyl Album Charts, Bowie has SEVEN vinyl albums placed at #3, #4, #5, #8, #12, #13 and #21. 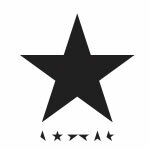 The winner of the MUSIC PRODUCERS GUILD Awards 'UK Album of the Year' Award, sponsored by Universal Audio, is DAVID BOWIE's ★ album, produced by TONY VISCONTI and David Bowie. Tony also received the 'International Producer of the Year' and 'Outstanding Contribution to UK Music' Awards. TOM ELMHIRST who worked on ★ won the MPG 'Mix Engineer of the Year' Award. 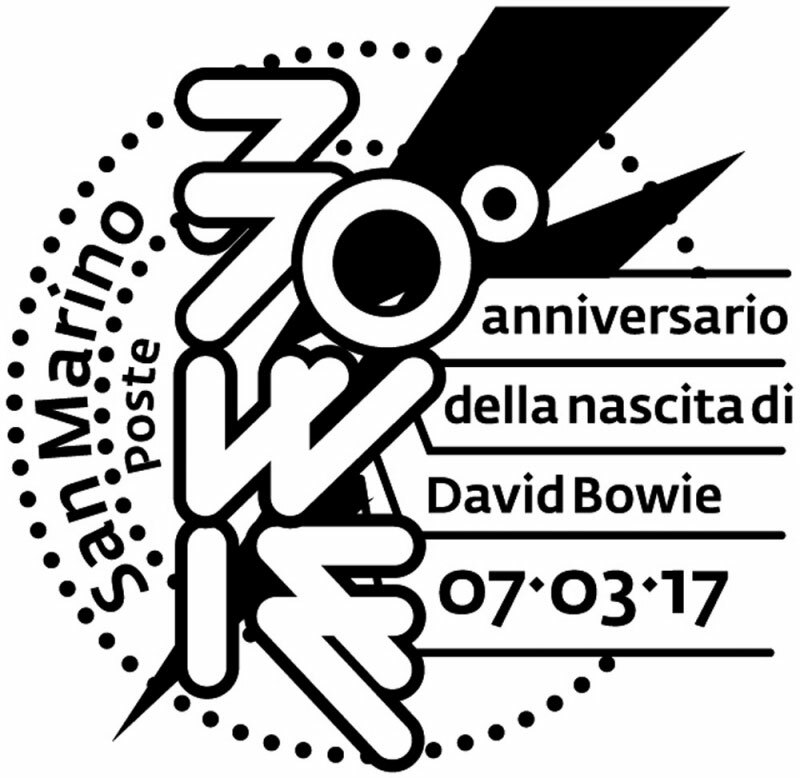 A brand new Italian DAVID BOWIE fanzine launches next week. Entitled: DAVID BOWIE BLACKSTAR, in both Italian and English languages, this twenty-eight page quality, colour fanzine is available to order now. For this first issue of 100 copies only, there is a nostalgic surprise with stickers. 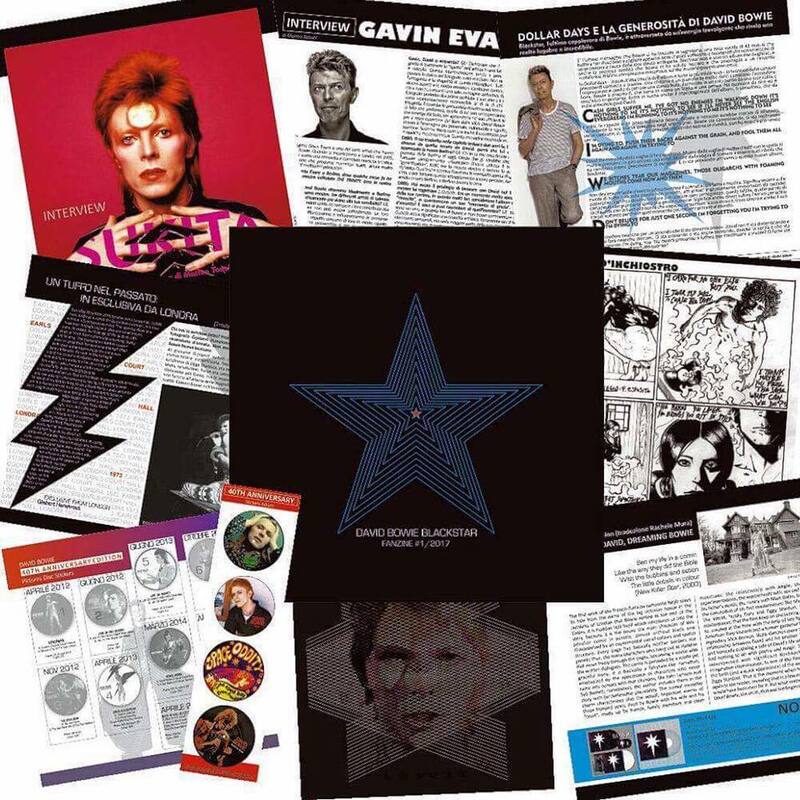 Included inside is a sticker album which has the first two pages dedicated to the 40th Anniversary picture discs, and includes the first four stickers for free inside. • Page Hamilton: A Headbanger at the Court of The Thin White Duke by F.F. Falco. • Comic strip 'Letter To Hermione' by F.F. Falco and F. Esposito. • Bowie On The Comics, by M. Tonolli. • An exclusive interview with photographer Gavin Evans by M. Tonolli and E. Mattirolo, plus advert designed by Gavin Evans. • Dollar Days and the Generosity of David Bowie by S. Marzi. • An exclusive interview with photographer Masayoshi Sukita by M. Tonolli. • Review of the new book: 'Bowie: Golden Years' by Roger Griffin. • Ziggy at the Earls Court Hall 1973: review by G. Hanekroot. • Such a Perfect Day by S. Bernardo. 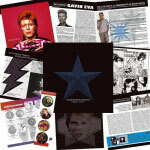 For more details and purchasing, please visit the davidbowieblackstar.it website. 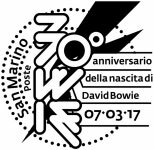 After nearly twelve months of planning, to celebrate DAVID BOWIE's 70th birthday year, the Public Numismatic and Philatelic Office of the Republic of SAN MARINO have issued a specially commissioned set of stamps. The philatelic set celebrates the long and eclectic career of David Bowie, famous singer-songwriter and actor, who was born in London on the 8th January 1947. Jonathan Barnbrook, who took care of the graphic art of his last album covers, is the designer of the souvenir sheet and of the first day of issue postmark. 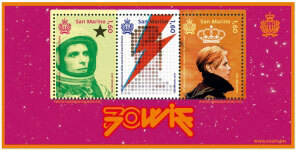 The first stamp shows the young Bowie as astronaut Major Tom, one of the many characters embodied by the rock star; above on the right, a black star refers to his last album, 'Blackstar'. The second value depicts an interpretation of the 'Aladdin Sane' record cover highlighting the instantly recognisable Ziggy Stardust's flash. The third stamp shows Bowie's profile picture that was used for both the 'Low' album cover and poster of 'The Man Who Fell To Earth', above Bowie in this stamp, a crown refers to his character 'The Thin White Duke' and that this issue is a celebration of one of the 20th and 21st century's most notable creative men. 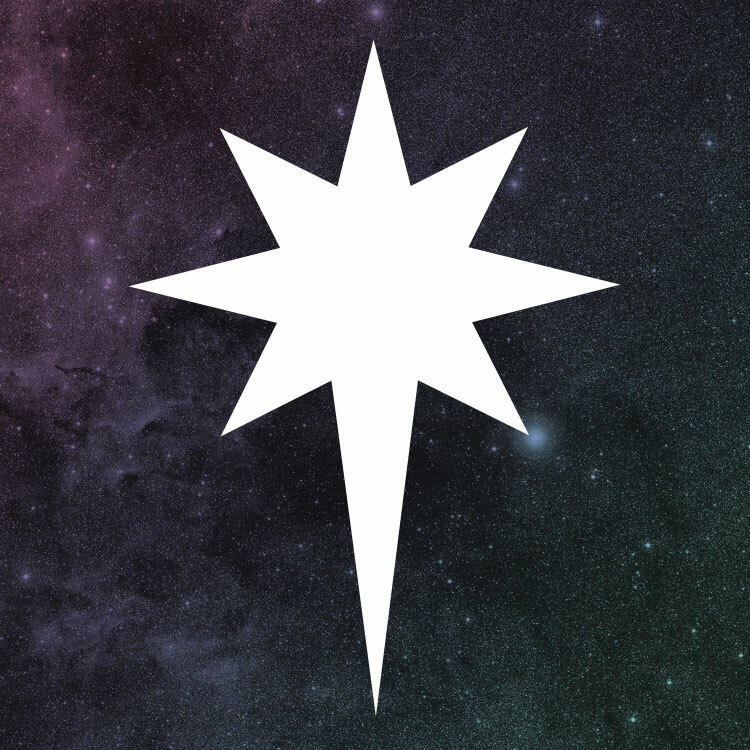 The logo, also created by Barnbrook, represents both Bowie's name and that it is the 70th anniversary of his birth. Values: souvenir sheet made up of 3 values of 1.60 euros each. Print run: 30,000 souvenir sheets. Printing: 4 colour offset, a Pantone and yellow fluorescent invisible ink by Cartor Security Printing. Photographs: M. Sukita - S. Schapiro. The stamps and souvenir sheet go on sale on Tuesday 7th March and are available to pre-order now. Item Code: 647 / Delivery Rates Italy/San Marino: 6.70 euros / Delivery Rates Out Of Italy: 10.60 euros. On their website you can translate into English (click flag). There are 3 options on the drop down menu that don't translate: Nuovo (New) / Timbrato (Stamped) / FDC (First Day Cover). If purchasing from the UK select (Regno Unito) from dropdown list. For more details and purchasing please visit the aasfn.sm website. 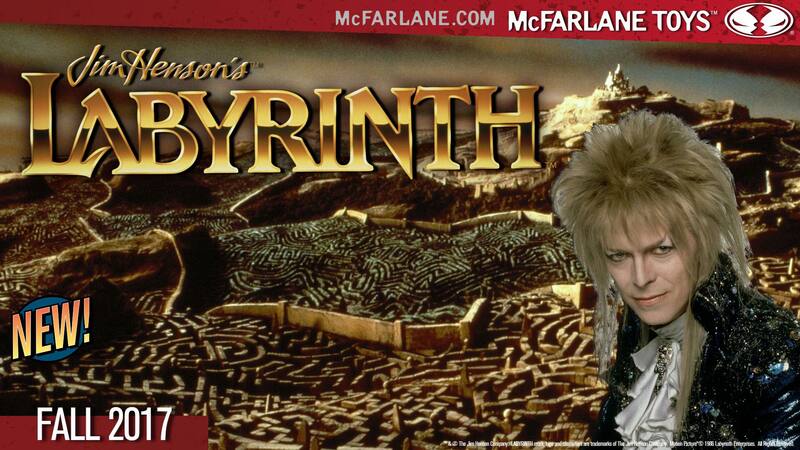 Huge congratulations to DAVID BOWIE and his collaborators on winning FIVE GRAMMY awards tonight. ★ was nominated in five categories, and won all five! 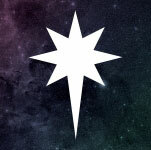 Blackstar - David Bowie, Tom Elmhirst, Kevin Killen and Tony Visconti, engineers; Joe LaPorta, mastering engineer (David Bowie). Update: The 12" clear blue vinyl release of DAVID BOWIE's 'No Plan' EP is an exclusive release for RECORD STORE DAY 2017 on Saturday 22nd April. This RSD release is limited edition of 3,000, individually numbered and exclusive to independent record stores. Available by visting in store only. The normal 12" black vinyl and CD version are both available now to pre-order. There is also a Japanese No Plan CD Blu-spec CD2 (Cat. No. SICP-31052) to be released 22nd March. The IFPI (International Federation of the Phonographic Industry) who represent the international recorded music industry worldwide have announced the best-selling artists in the world for 2016. The independently verified IFPI Global Recording Artist chart includes sales of albums - across digital, CD and vinyl formats; singles, both downloaded and physical; and on-demand audio streams and music videos across the calendar year. The chart includes all the music of each artist featured, not just one track or album. It uses album equivalent units to combine measurements of downloads, physical sales and streams. DAVID BOWIE hit the #1 position in the official Croatian Album Chart 2017 for THREE weeks running with his Legacy compilation album, and ★ is still doing pretty well. Check out the latest ★ album worldwide positions continually updated in the BW Special Features section. Well worth listening to is the JOHN 'HUTCH' HUTCHINSON interview with Dr. Rock radio show on BBC Radio York. Hutch talks about his friendship and working with DAVID BOWIE, as well as his new 2017 mini-album 'Old Hat' which contains the track 'The Spaceman Blues' which is dedicated to DB. You can listen in here via the BBC iPlayer for the next 26 days. 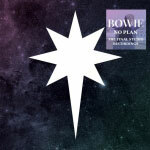 Updated: davidbowie.com have announced the physical release of DAVID BOWIE's 'No Plan' EP which will be available in FOUR additional formats, CD , 12" black vinyl 12" Indy shop RSD 2017 exclusive numbered clear blue vinyl and 12" exclusive white vinyl with litho print. The CD version will be available on 24th February. The Japanese CD Blu-spec (Cat. No. SICP-31052) to be released 22nd March. The 12" black vinyl with special laser etching on side B, available on 21st April. The 12" clear blue vinyl , limited edition, are individually numbered and exclusive to independent record stores for RECORD STORE DAY 2017, is out on 22st April. The 12" exclusive white vinyl, made-to-order, one-time-run, of a numbered die-cut package, with special laser etching on side B, with exclusive 12x12 artwork lithograph available. This release is scheduled for 26th May. The 12" black vinyl and CD version are both available now to pre-order. 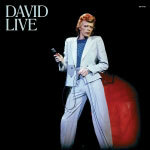 For all you vinyl junkies out there, five DAVID BOWIE albums are to be released on Friday 10th February. These five albums are stand-alone releases are all taken from the Who Can I Be Now? 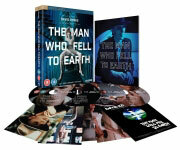 (1974-1976) Box Set and are available to pre-order NOW. DYLAN JONES is working on a brand new book which will be titled: DAVID BOWIE: A LIFE. To be published in hardcover, with 400+ pages, and a Kindle version, it is due for scheduled publication on Tuesday 3rd October by Crown Archetype. Synopsis: Dylan Jones, OBE is the Editor of British GQ. He studied design and photography at Chelsea School of Art and St. Martins School of Art in London before becoming the Editor of i-D magazine in 1984. He has since been an Editor at The Face, Arena, The Observer and The Sunday Times. Dylan has won the BSME Editor Of The Year award seven times, once for his work on Arena (1993), and six times for GQ (2001, 2002, 2004, 2008, and two awards in 2007). Dylan has published several international best-selling biographies and books, which include his When Ziggy Played Guitar: David Bowie and Four Minutes that Shook the World in 2012. The next DAVID BOWIE 40th Anniversary 7 inch picture disc single is to be released this month. The limited edition Sound and Vision is to be released on Friday 10th February via Parlophone (catalogue number DBSAV 40). Sound And Vision (2016 remaster). Produced David Bowie and Tony Visconti. Sound And Vision (Sony Experia mix). 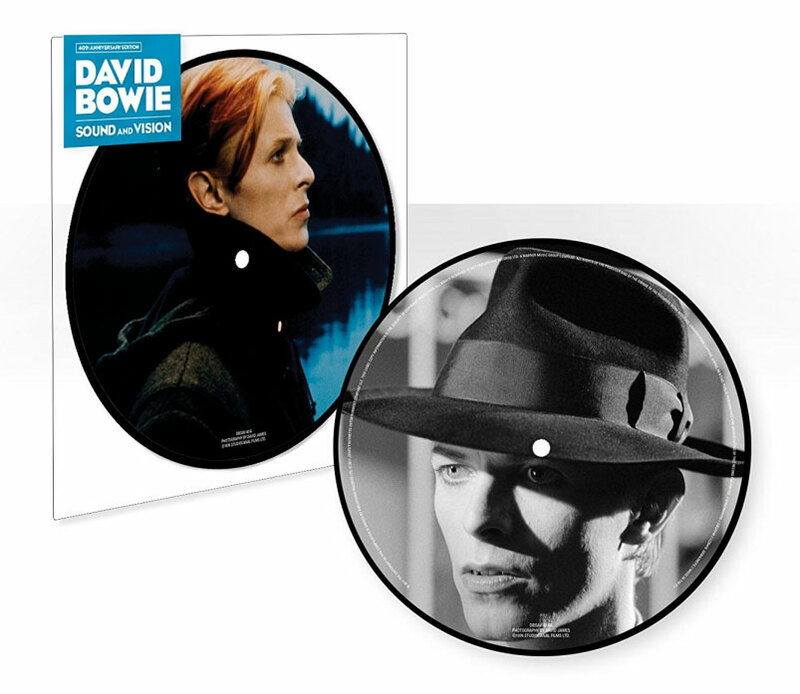 You can pre-order Sound and Vision 40th Anniversary 7 Inch Picture Disc NOW. DAVID BOWIE has been nominated in two 2017 BRIT Award categories - 'British Male Solo Artist' and Mastercard 'British Album of the Year'. The show takes place later this month on 22nd February at The O2 in London and will be broadcast live on ITV. Joe (Live From Austin City Limits) - Alabama Shakes. Don't Hurt Yourself - Beyoncé featuring Jack White. The Sound Of Silence (Live On Conan) - Disturbed. Heathens - Twenty One Pilots. Burn The Witch - Radiohead. Hardwired - James Hetfield and Lars Ulrich (Metallica). Heathens - Tyler Joseph (Twenty One Pilots). 22, A Million - Bon Iver. The Hope Six Demolition Project - PJ Harvey. Post Pop Depression - Iggy Pop. A Moon Shaped Pool - Radiohead. Anti (Deluxe Edition) - Ciarra Pardo and Robyn Fenty. Human Performance - Andrew Savage. Sunset Motel - Sarah Dodds and Shauna Dodds. 22, A Million - Eric Timothy Carlson. Are You Serious - Tchad Blake and David Boucher, engineers; Bob Ludwig, mastering engineer (Andrew Bird). Dig In Deep - Ryan Freeland, engineer; Kim Rosen, mastering engineer (Bonnie Raitt). Hit N Run Phase Two - Booker T., Dylan Dresdow, Chris James, Prince and Justin Stanley, engineers; Dylan Dresdow, mastering engineer (Prince). Undercurrent - Shani Gandhi and Gary Paczosa, engineers; Paul Blakemore, mastering engineer (Sarah Jarosz). The 59th GRAMMYs show hosted by James Corden takes place on Sunday 12th February 2017 - airing live on CBS from the Staples Center in Los Angeles at 8 p.m. ET / 5 p.m. PT. 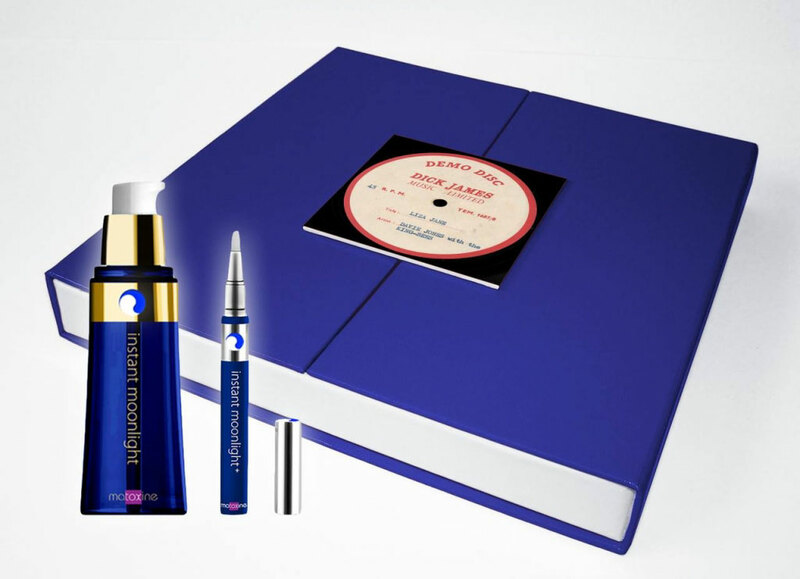 I am told that both limited edition releases for the DAVID BOWIE IS exhibition currently showing in Tokyo are now both sold out. 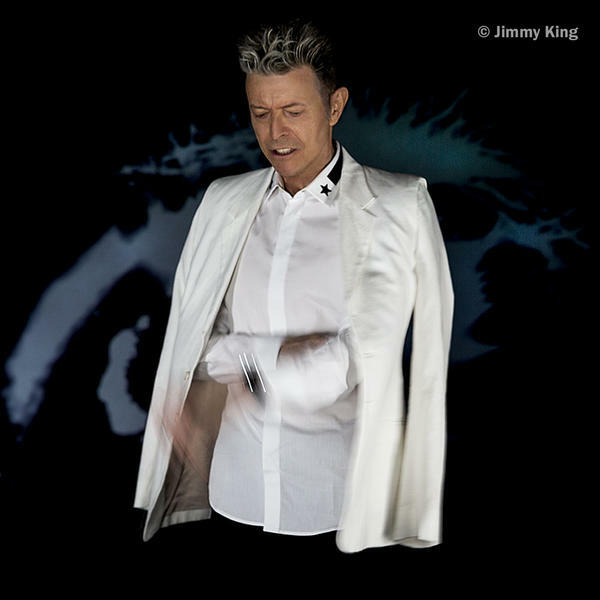 Included is an exclusive poster of one of Jimmy King's beautiful photographs of David. Made in Japan, (Cat. no. 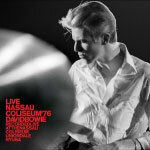 SCJ7 1) features ★ (album version) and b-side: 'Lazarus' (radio edit) and 'I Can't Give Everything Away' (radio edit). 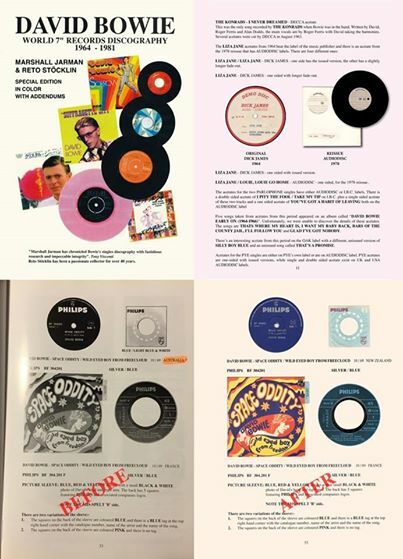 Also to celebrate the visit of the exhibition to Japan, Sony Records International released several limited edition coloured vinyl albums on 11th January. There is also the MICK RONSON 'Heaven And Hull' CD Blu-spec CD2 (SICP-31037) released via Legacy Recordings is available via the cdjapan.co.jp website. LIVE FOR FILMS Directed by DA Pennebaker, the concert movie Ziggy Stardust And The Spiders From Mars: The Motion Picture captures DAVID BOWIE and his band at the height of their powers on stage at London's Hammersmith Odeon on July 3rd, 1973, the singer causing a furore with his announcement that the gig would be "the last show that we'll ever do". MOJO magazine returns to this moment of high drama with an exclusive companion film where WOODY WOODMANSEY, the sole surviving member of the Spiders From Mars, re-lives the events of that fateful night, and chronicles Bowie's rise from the fringes of the British underground scene to global superstardom. This new film sees Woody return to London's Trident Studios where he and his fellow Spiders - Mick Ronson (guitar) and Trevor Bolder (bass) - cut a number of classic albums with Bowie including The Man Who Sold The World (1970), Hunky Dory (1971) and, of course, The Rise And Fall Of Ziggy Stardust And The Spiders From Mars (1972). 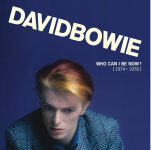 In a wide-ranging conversation with MOJO's Editor-In-Chief, Phil Alexander, Woody - whose acclaimed autobiography My Life With Bowie: Spider From Mars has just been published by Sigwick & Jackson - reflects on the most formative period in Bowie's career, and provides a fascinating insight into the man's impact as well as the star's conflicted view of commercial success. Woody Womansey commented "Every so often an artist comes along and has that ability to really communicate - because that's what art is - and it's on such a high level. There's good music, there's better music, great music, and then you've got somebody who can deliver constantly. He was a cut above. I always thought that any time David Bowie wanted to write a hit song he could sit down and in 20 minutes he would have written one. He always had that about him. The fact that he didn't do that was his choice. He came out at a point when the business and the world really needed brightening up. It needed a lift. He managed to do that, he managed to lift it, and then [his influence] went into all into the other arts and genres of music, and brightened all of their areas up. That's one individual who managed to do that." Presented in association with CineEvents, the nationwide screenings of both films will take place across the UK next month on 7th March. Participating cinemas include: Picturehouse, Everyman, Curzon, ODEON, Cineworld and Vue cinemas as well as a number of independent sites and chains. ROYAL MAIL revealed it will issue a set of 10 Special Stamps to honour DAVID BOWIE - one of the most influential music and cultural figures of all time. Six of the stamps showcase Bowie's changing musical styles and personas across the decades and feature images of some of his most admired and defining album covers: Hunky Dory; Aladdin Sane; "Heroes"; Let's Dance; Earthling and ★. The arc of the vinyl album protrudes from the right hand side of each stamp. Completing the set, four stamps show Bowie in action performing live on tours across four decades; The Ziggy Stardust Tour, 1972; The Stage Tour, 1978; The Serious Moonlight Tour, 1983; and A Reality Tour, 2003/2004. 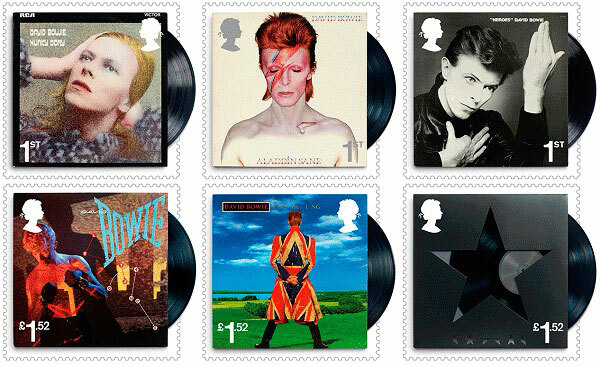 The stamps and a range of limited edition souvenirs are available to pre-order now today at royalmail.com/davidbowie and will be on sale from 14th March at 7,000 Post Office branches across the UK. SOUND AND VISION 40th Anniversary Picture Disc 7 Inch Single is released 10th February via Parlophone - you can purchase NOW. 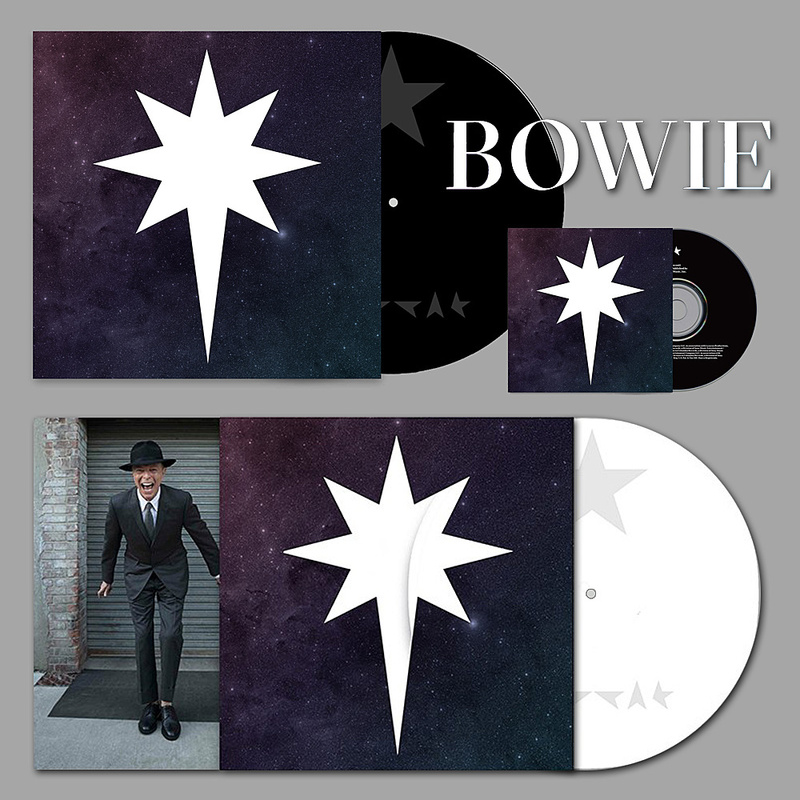 4 physical releases of DAVID BOWIE NO PLAN EP - CD VERSION released 24th February and 12" BLACK VINYL and the RECORD STORE DAY 2017 12" CLEAR BLUE VINYL limited edition of 3,000, individually numbered and exclusive to independent record stores, is available in-store only on 22nd April. The following month the 12" exclusive WHITE VINYL, made-to-order, one-time-run, of a numbered die-cut package, with exclusive 12x12 artwork is released 26th May. Five DAVID BOWIE vinyl albums released on 10th February via Parlophone - these stand-alone releases are taken from the Who Can I Be Now? 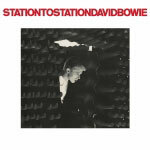 Box Set which are: DIAMOND DOGS (2016 remastered version), DAVID LIVE (2005 mix) (remastered version), YOUNG AMERICANS (2016 remastered version), STATION TO STATION (2016 remastered version) and LIVE NASSAU COLISEUM '76 you can purchase all five NOW. Brand new LAZARUS: THE COMPLETE BOOK AND LYRICS by DAVID BOWIE and ENDA WALSH published 10th November via Nick Hern Books - you can purchase NOW. Revised and expanded THE COMPLETE DAVID BOWIE 7th edition book by NICHOLAS PEGG published by Titan Books on 25th October - you can purchase NOW. New compilation album DAVID BOWIE - LEGACY released on 11th November via Parlophone in the following formats: CD and 2-CD Deluxe and MP3 digital - the double 2-LP Vinyl edition is released on 7th January. 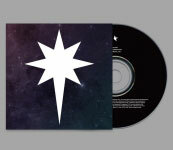 LAZARUS (Original Cast Recording) includes 3 previously unreleased David Bowie songs - released on 21st October - you can purchase both the Vinyl 3-LP and 2-CD NOW! Japanese only CD digipak first limited edition Blu-spec CD2 of DAVID BOWIE last studio album ★ released 8th January - you can purchase NOW.